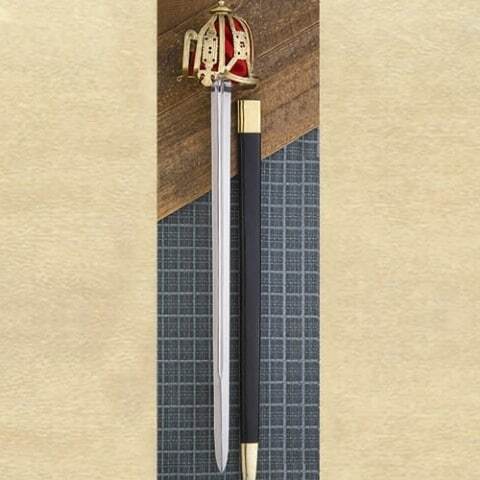 Equal to any claymore weilded in battle by Scottish clansmen. Typical fullered, double edged broadsword pattern of the 1500s-1800s. 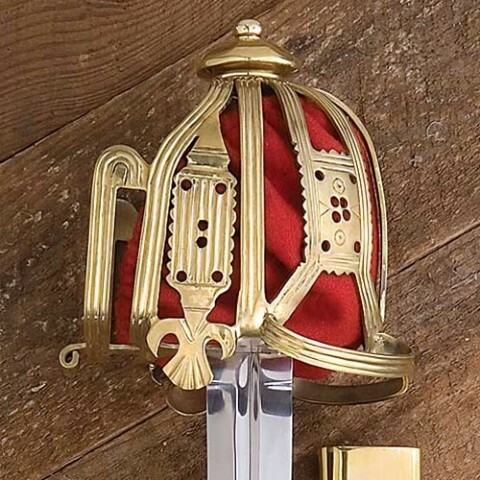 Pierced brass basket-hilt with rich red cloth liner. Fully tempered high carbon steel 82cm x 4.5cm blade. Overall length 100cm. Weight 1.8kg. Can be factory sharpened for an additional $30. Specify by email.